Sherbaz Mazari had been refusing offers for interviews from television channels and top journalists. But when I and my friend, Hakeem Baloch, left him a message that we were two young Baloch and wanted to understand our recent political history, he agreed. As we sat in his two-storied library, the octogenarian Baloch politician from Dera Ghazi Khan reminisced about key political events almost in a monologue. “I’m too old to remember these things,” he would say while pausing to recall certain facts from his failing memory. A Harvard University graduate, Sherbaz Mazari started his political career by supporting Fatimah Jinnah against Ayub Khan in 1964’s presidential polls. He was elected to the National Assembly in 1970 and since then he has dealt with almost all the major power players in Pakistan. His political autobiography ‘A journey to Disillusionment’ is one of the most insightful books on Pakistan’s political history. A comrade of Nawab Akbar Khan Bugti, Khair Bakhsh Marri, Ataullah Mengal and Ghaus Bakhsh Bizenjo, Mazari has first-hand knowledge of the major events of the Baloch nationalist struggle since 1960s. This interview was conducted in January 2010 at his Karachi residence. Question: Who are the Baloch? Sherbaz Mazari: I wish I knew who they were. I think the Baloch migrated from the Caspian Sea to the present Balochistan. I used to read a lot about the Baloch history, but I no longer remember much of it. Thanks to old age. Mazaris are basically Hoth. I am proud to be born in a Baloch house and we still speak Balochi despite living in Punjab. Most of the Baloch in the rural areas (of Punjab) speak Balochi. Some in the urban centres speak Seraiki. But all Mazaris, either living in cities or villages, speak Balochi. Despite being divided in several territories, the Baloch are linked to each other. I have family terms with Akbar Khan (Bugti) and Khair Bakhsh (Marri). I, Akbar, Khair Bakhsh and Ahmed Nawaz (Bugti) were college fellows in Lahore in 1940s. I married Akbar’s sister. Ahmed Nawaz’s daughter married my elder brother Balakh Sher Mazari’s son. Brahmdagh is my daughter’s son-in-law. He married my granddaughter. 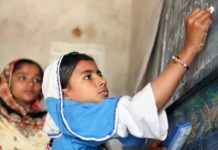 Almost one third of Sindh’s population is Baloch. Some major Baloch tribes like Jatois, Mazaris, Chandios, Shar, Bijjaranis are living in Sindh and Punjab. The Baloch are very close to Kurds. Like Kurds, they are also divided into several territorial units. SM: We were three brothers. One has died. My family owned 350,000 acres of land initially. Most of it was confiscated during land reforms. I’ve given away all my property to my sons and others. Now I only own this library and the traditional swords and guns of my ancestors. I still have those axes (Tafar) with which our ancestors fought the British. Question: You have one of the largest personal libraries in Pakistan. SM: I love reading books. I extensively read on history, arts, literature, politics, travelling and memoirs. I’m very old now. You know, I’m 79. What’s your age? Around 27, right? I can’t even walk properly. But still I try to read books. Akbar (Bugti) had also a huge library, but it’s really painful to hear that his library was completely destroyed. Question: Despite the dirty politics in Pakistan, you’ve remained clean. How was that possible? SM: I have never taken advantage in politics. I’ve been offered many public offices in different governments. Bhutto had offered me Balochistan’s governorship after the dismissal of NAP government, but I refused. Then Ghulam Ishaq Khan offered me premiership and again I refused. My politics was for the people and not for personal gains. When (General) Zia sent me to jail in Mianwali, a jail official told me that (Sheikh) Mujeeb and Bacha Khan were jailed in the same cell. Question: How do you see the Sardari system? SM: I never call myself a Sardar. I’m a Baloch. Specially, I don’t like the title of Nawab. It was conferred upon some tribal elders by the British. I don’t know why some people still call themselves Nawab. The Balochi title for the tribal chief is Mir or Sardar. Once Bhutto had told me: ‘You’re Dera Ghazi Khan’s Sardar and I’m abolishing Sardari system.’ I had replied that I’d support his move. I don’t back Sardari system. Khair Bakhsh Marri and (Ghaus Bakhsh) Bizenjo were also opposed to the Sardari system. Question: What caused the separation of Bangladesh? SM: The rulers of Pakistan were responsible for this. They (Bengalis) were in a majority but their language and rights were not respected. Pakistan is a multi-linguistic and multi-national country and we should accept this very fact. I went to Dhaka to meet Mujeebur Rehman as part of negotiations. When I came out of the room after talks, some Bengalis started raising slogans against Punjabis. They thought I was a Punjabi. I asked them not to call me a Punjabi, I am a Baloch. Then they hugged me and said Baloch are their brothers. However, they warned me that after them, the Baloch would be the next victims (of the establishment). I didn’t realise this at that time but they were right. We are now facing the same injustices that were meted out on the Bengalis. Question: What is the solution of nationalities in Pakistan? SM: I believe that nations should be given complete rights. If Baloch, Sindhis, Seraikis, Pakhtuns want demarcation of provinces on the basis of nationalities, no one should have any objection to it. Besides, these provinces should be given complete autonomy. It will bring harmony among nations in Pakistan. 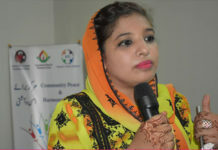 The Baloch areas should be included in the Baloch province and the Pashtun, Seraiki, Sindhi and Punabi areas should be included in the Pashtun, Seraiki, Sindhi, and Punjabi provinces. Question: You have played a key role in facilitating government’s talks with Baloch, Pakhtun and Bengali leaders at different times. Tell us something about your efforts to defuse tensions between Pakistan’s government and Baloch leaders. 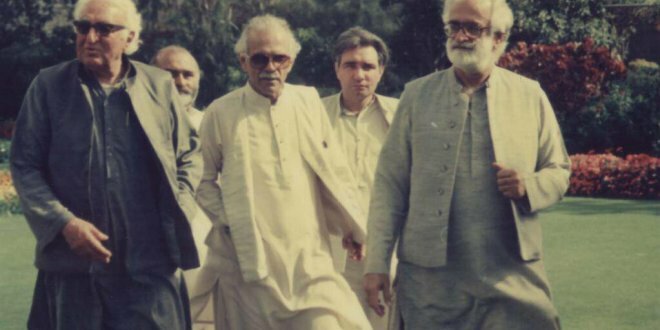 SM: National Awami Party (NAP) leaders came to me for consultations after (Zulfikar Ali) Bhutto dismissed the NAP govt and arrested Khair Bakhsh Marri, Ataullah Mengal and Ghous Bakhsh Bizenjo. It was an unjust move by Bhutto as the NAP had a majority in Balochistan. Then Bhutto asked me to negotiate with NAP leaders for a way out. I tried to mediate and solve the issue in a peaceful manner, but that didn’t work. When tensions escalated between the government and Akbar Khan in 2004, Mushahid Hussain, Imtiaz Shaikh and Akbar Khan’s nephew Sher Ali Bugti visited my house in Karachi. Mushahid said that they had been sent by the president. I asked ‘Who was he talking about?’ He replied ‘Musharraf’. I said I didn’t accept him as the president. But he insisted that I should persuade Akbar Khan to talk with them. I said: ‘Akbar’s nephew is with you, so ask him to talk to his uncle’. However, after much insistence, I asked Sher Ali to call Akbar. Bugti asked me in his very style: ‘What’s wrong Sherbaz!’ I told him the government wanted to negotiate with him. He said he did not trust them, and asked me :‘Do you trust them?’ I replied in negative. But, somehow, he agreed to meet them. Later, they held negotiations in Dera Bugti, but nothing came out of the talks. And then Akbar Khan left for the mountains. Musharraf is a very cheap man. I was invited to a gathering where he was also invited out of my knowledge. When he saw me, he came up to me and while shaking hands, he said ‘I’m a commando’. I told him so what if he was a commando. He wanted me to support him. He had recently taken power in those days. I told him I had never supported dictators. He was a lowly person and always used to talk rubbish. Question: When was the last time you talked to Nawab Akbar Khan? SM: He called me from the mountains on the satellite phone weeks before his assassination. He wanted to say goodbye to me. He said: ‘I’m going to sacrifice my life for the nation’. I said if my health had allowed I would have joined him in the mountains. But he replied in his characteristic style ‘No Sherbaz, you’re too old to fight with me.’ The fact is that he was older than me. It was the last time we talked. May God rest his soul in peace, he was a wonderful man! Question: How do you see the political situation in Balochistan? SM: The unjust attitude of the government with the Baloch is responsible for the present situation in Balochistan. People are being killed and disappeared. Three Baloch leaders were brutally killed in Makuran last year, which was so painful for me. Question: You and Zulfikar Bhutto were close friends. SM: Bhutto was my friend. We had family terms. Nusrat Bhutto used to visit my house to meet my family. When Bhutto was Ayub Khan’s foreign minister, he was against Fatima Jinnah. One day he asked me: ‘What would this old lady do if India attacks Pakistan?’ I didn’t appreciate Bhutto’s remarks against an elderly woman. We, Baloch, never say anything bad against womenfolk. We respect them. I told Bhutto that she (Fatima Jinnah) was like my mother and I supported Fatima Jinnah against Ayub. Bhutto was not fair with the Baloch. First, he dislodged NAP’s government and then he launched a military operation in Balochistan. I opposed Bhutto on this. He offered me governorship, but I refused and then he made Akbar Bugti the governor of Balochistan. I was really disappointed by Akbar Khan’s decision to accept the governorship. Later, Bhutto told me that Bugti was creating problems for him, and he again offered me governorship, but I refused once again. Eventually, all the opposition parties joined hands against Bhutto. One fine day, Bhutto rang me and said ‘What are you doing? You’ve joined bloody Mullahs’. I told him that I had not joined Mullahs, I was only against his wrong policies. Later, I formed the National Democratic Party with Begum Naseem Wali Khan. Hakim Ali Zardari was also in my party. Again Bhutto called me and said ‘Now you have joined hands with anti-Pakistan elements (Baloch and Pakhtun nationalists)!’ I told him that they were only demanding their due rights. When Benazir returned to Pakistan in 2007, she visited me and said: ‘Uncle, I need your support’. I said ‘Yes, I’m your uncle, but not from your father’s side. I’ve no relation with Bhutto. He wronged the Baloch.’ I had no personal issues with Bhutto. We had political differences. Question: But your son Sheryar joined the PPP. SM: Benazir asked me for my support. I told her that I was a retired politician. Then she asked Sheryar to contest 2008 elections on the PPP ticket. I didn’t know at that time that she had returned to Pakistan after a deal with Musharraf. She told me she would be killed. Question: Many Baloch think that they have reached the point of no return. Do you support the demand for an independent Balochistan? SM: I agree that the Baloch have reached the point of no return. I fully support the demand of an independent Balochistan if it’s what the Baloch people want. But I wish the Baloch issue is resolved within the federation of Pakistan. Question: Tell us something about Nawab Khair Bakhsh Marri? We used to study in the same college in Lahore in 1940s. In those days, he was a very Westernised and cosmopolitan guy. Then he suddenly became fanatically religious. It was very surprising for us. But then he turned out to be a diehard communist. He is a very calm person. I respect him a lot because he has never compromised on his stance. Whenever you see him please tell him that I hold him in high esteem. His son Mir Balach Khan was a brave man. I’m really proud of him. Benazir wanted me to go along with her to Khair Bakhsh Marri’s house to condole Balach’s death. I refused. Then, after sometime, I went alone to offer my condolences. Khair Bakhsh asked me: ‘Why’ve you come here’. I told him that I had come to condole Balach’s death. He said he won’t accept any condolences until he saw his son’s body. SM: Ghaus Bakhsh Bizenjo was like my elder brother. I respected him. But I was somehow disappointed after reading somewhere that he had links to the Iranian intelligence agency SAVAK. I don’t have any evidence except that book that Bizenjo was working for SAVAK, but still I was disheartened. Question: Was Khan of Kalat Ahmad Yar Khan betrayed by Pakistan? 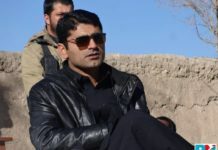 SM: Iskandar Mirza wanted to meet Baloch elders. We met him at the Governor General House in Karachi. In the meeting, he was very disrespectful to the Khan. The Khan of Kalat was our elder and we respected him. So, I, Akbar Khan, Khair Bakhsh and my brother (Balakh Sher Mazari) walked out from the meeting. Later, Ghulam Muhammad arrested the Khan and launched a military operation in Balochistan. Question: What is the fate of the Baloch national movement? SM: I am very hopeful. It’s really heartening to see that Baloch feel proud to call themselves Baloch. They no longer identify themselves with their respective tribes. We should educate our children. It’s our responsibility to enlighten our people. We should educate our womenfolk too if we want to be successful in our struggle. It’s very important. Today, I am really happy to see that even Sindhis, Jamaat Islami and MQM are giving statements in favour of the Baloch. The NFC award and Balochistan package should be implemented. But I’d not support any package until it’s accepted by the Baloch people. Question: What’s your opinion of young Baloch politicians? SM: The Baloch youth were very active in our times. BSO struggled a long way for the Baloch rights. I don’t know how it’s doing these days. I’m proud of Khair Bakhsh Marri’s son Balach. Hairbyar and Brahmdagh are also doing well. Previous articleWho Speaks For The Baloch of Dera Ghazi Khan?